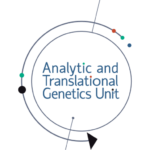 As human geneticists, our primary goal is to determine the genetic causes of rare and common diseases in order to facilitate both the diagnosis of individual patients and the discovery of disease processes that may provide new therapeutic insights. Particularly since we receive public and private funds to deliver on this mission, we are committed to the key ethical principle that any genetic discoveries pertaining to human diseases, and any tools or resources we generate that may help others in this endeavor, must be made available as freely and rapidly as possible. Several elements of traditional publication models in medicine and biology are inconsistent with this principle. Firstly, the process of peer-review, while indispensable for improving the robustness and durability of the scientific literature, often results in lengthy delays in the dissemination of new research. Secondly, final reviewed publications are often held behind journal pay-walls that inhibit access to the primary products of the scientific enterprise. It is absolutely unacceptable that a family seeking information about a child’s condition, a researcher in an under-resourced environment, or an independent individual pursuing novel therapeutic ideas in his or her proverbial garage is prevented from immediate access to these results—even simply to determine whether a new report is relevant. We commit to depositing all manuscripts from our labs on an open access preprint server (such as bioRxiv.org) no later than the time of submission, in order to ensure rapid evaluation and use of the findings by the broadest possible community. We further commit to submitting manuscripts only to journals that permit, either directly or through submission to free repositories (such as PubMed Central), free and unrestricted access to the final published work. Such policies are not new. Indeed, over the last decade, the physics, math, computer science, and statistics communities have universally adopted a culture of posting preprints on arXiv.org at (or even before) the time of submission to disseminate ideas freely and to establish intellectual priority without publication delay. However, such a culture remains unusual in biology; we believe this needs to change. In addition to committing to this policy ourselves, we encourage our colleagues and co-authors to carefully consider their own publication policies. We believe that it is only a matter of time before the concept of restricted access to the products of scientific research becomes an anachronism, and we hope that the human genetics and genomics community can play a leading role in the transition to more enlightened models. The trust placed in us as researchers who receive funds to investigate human disease in the public good can only be adequately met if the results of that work are made rapidly and freely available to all. Click here to register your support.